When I set up QED Foundation in the back streets of Bradford, the UK had only four ethnic minority MPs. A record 51 BME candidates were successful in the 2017 general election. In that time we have seen the number of people from ethnic minority backgrounds increase from 3.5 million to more than 8 million. They are increasingly prominent in many areas of public life - in business, government, politics, sports, arts and culture and the media. And QED Foundation itself has grown and become increasingly influential at national and international levels. But we still have a long way to go. Even today, if you are from a BME background, you are more likely to be out of work, underemployed or struggling on a low income than your white counterparts. There is less chance of your children doing well at school or your family being able to live in decent housing. Poor health could even reduce your life expectancy. At QED Foundation we want to change all that. We go where the need is greatest, delivering much-needed education, training, employment and health services to the most disadvantaged communities. But we know that one organisation can do only so much. If we are to create a truly equal, fair and cohesive society, we have to ensure ethnic minority issues are at the heart of public policy. So QED Foundation encourages and supports government, businesses and public and third sector organisations to work together to create opportunities for all. This benefits everyone because the most peaceful and prosperous societies are those where everyone can fulfil his or her potential. 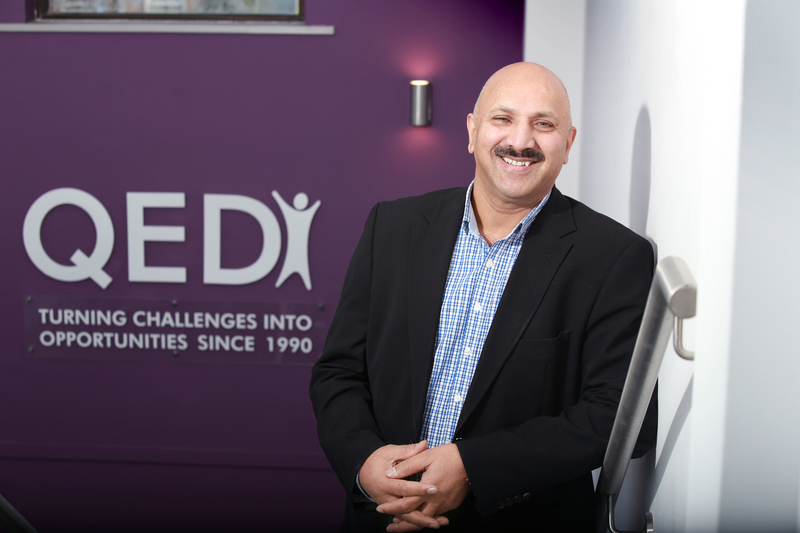 We have made great progress in the last three decades and we are pleased that so many leading decision makers continue to consult with QED Foundation on ethnic minority issues. But there is still much work to do before we can say that people's chances in life are no longer limited by their race or faith.